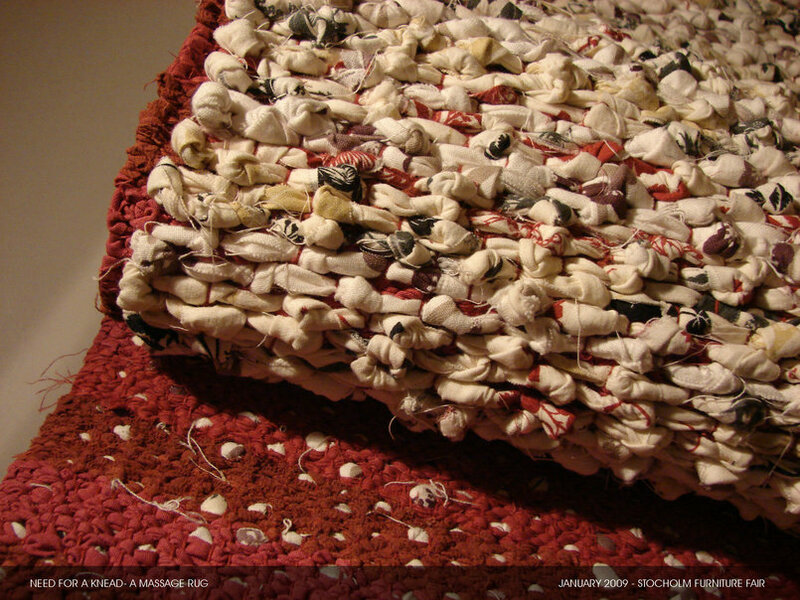 "Need for a knead" is basically a project based on the concept of reuse and sustainability. The principal motivation was to effect a contribution to the world of textiles with respect to reuse and sustainability. "Duality" of purpose was the key theme while designing this product. Thus, it has dual purpose and function. 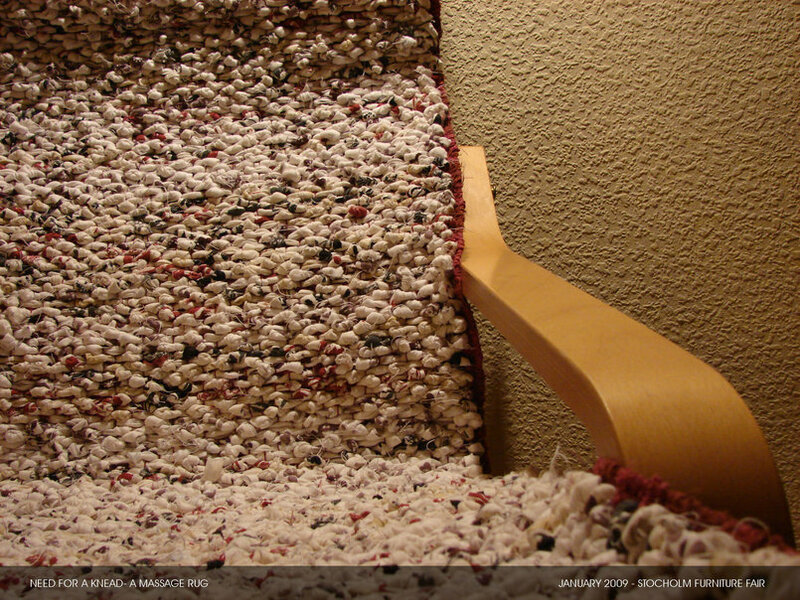 The massage rug can be put on the chair, also it can be put on the floor. 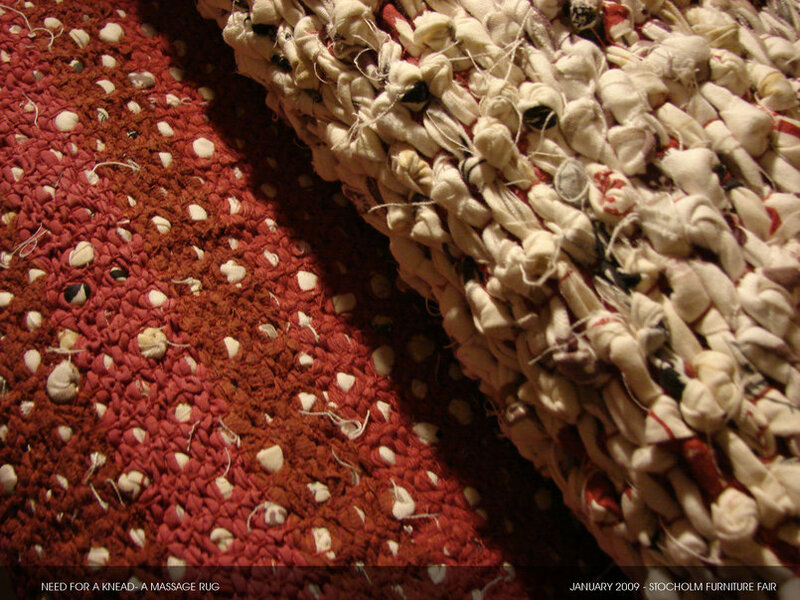 The function of this rug is to provide acupressure to vital points of the body, thus effecting relaxation. 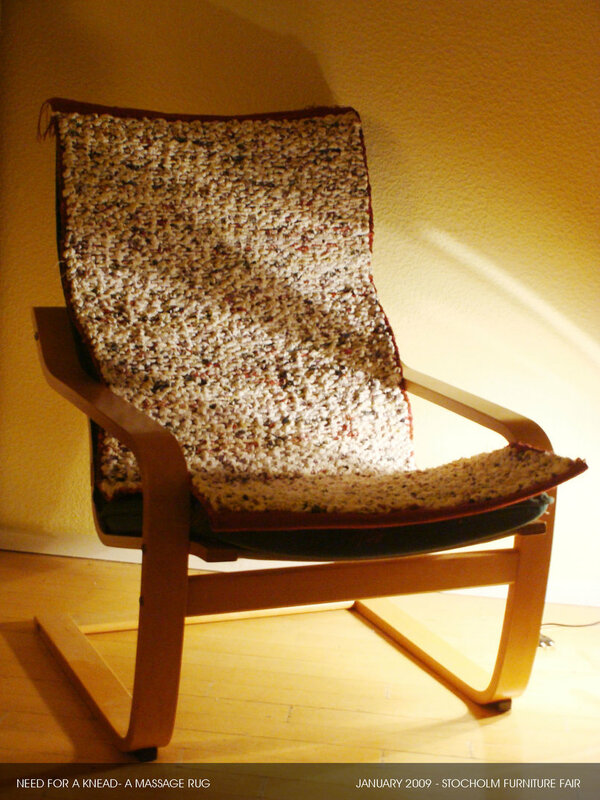 This was showcased at Stockholm Furniture Fair, 2009.